Retention is a unique challenge for any community college. We, at WV Northern, view retention as a college-wide responsibility: faculty, staff, administrators and students working together to persist and succeed. At WVNCC, persistence and success are our top priorities. Our goal is to provide students with the resources they need to feel empowered and inspired to succeed. We also believe in strong community partnerships to bridge the gap between academic completion and job acquisition. WVNCC has an established Retention Committee dedicated to engaging administration, faculty and staff in exploration and initiation of retention initiatives, facilitating open communication regarding retention initiatives, collaboratively supporting retention initiatives and making recommendations regarding retention initiatives. Many other activities are in place on all of our campuses as we continually strive to improve student retention and success. ACADEMIC- Students must maintain a cumulative and semester grade point average (GPA) of 2.0 to remain in good academic standing. Any student who fails to maintain a 2.0 (C average) cumulative GPA is placed on academic probation. The cumulative GPA is computed at the end of every semester (fall, spring, and summer) and academic probation is designated for the semester following the student’s failure to meet Standards of Academic Progress (SAP=2.0 GPA). WVNCC is committed to supporting all students working toward their academic and career goals. 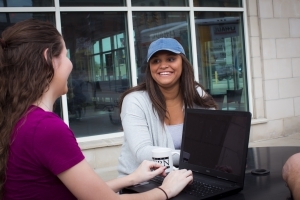 The Academic Support Center offers access to an Academic Coach/Advisor who can help students individualize a plan designed to help them better understand their situation and create a blueprint to get back on track. For more information about the Academic Recovery Program (ARP), contact the ASC at 304.214.8923 or kaulick@wvncc.edu. Are you leaving WVNCC? We highly recommend staying in college, but we realize that situations can arise that require students to withdraw. Please be sure to speak with your advisor before totally withdrawing from college. Complete withdrawal forms before you leave school. You may lose all or some of your eligibility for financial aid, especially if you do not complete the necessary forms. Your school may have to return funds used to pay your school charges, and you may end up owing the school for any tuition and fees originally paid by financial aid. You may even have to repay grants due to lost eligibility. You are responsible for repaying student loans that are not refunded whether or not you return to school. It is important to understand all of the academic, financial and personal consequences of total withdrawal. If you must do it, do it properly to avoid undesirable repercussions. We are sorry to see you go, but understand that college success requires a great deal of time, focus, and commitment. We're here when you're ready to return! Students and their advisors can use Career Coach to explore career options, pathways, and goals. Career Coach can help students find the best career path and academic program match. Then, it can help students build a resume to land a job their field. Click here to create your FREE Career Coach profile today.